Sepp Blatter is standing unopposed and the writhing mess of corruption that FIFA has become continues. That World Cups are bought and sold is patently obvious. Apart from masses of money Qatar brings nothing to a World Cup competition and takes away much. The corruption – under Blatter’s watchful and forgiving eye – has of course resulted in stupid decision after stupid decision. 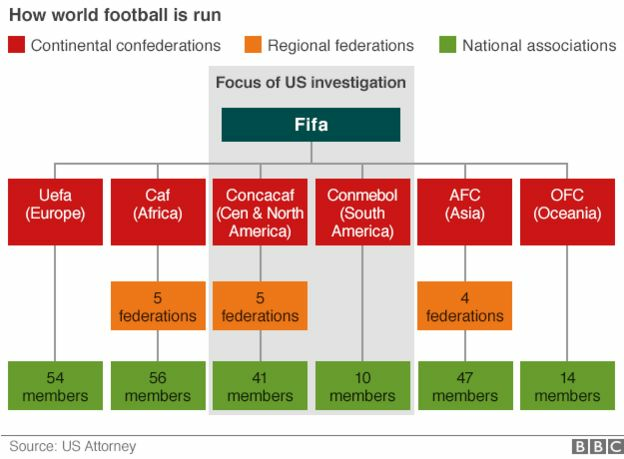 As long as Blatter continues the corruption and stupidity will remain institutionalised and there is no chance of FIFA even beginning to put its house in order. Fifa general secretary Jerome Valcke has denied Jack Warner’s claim in an e-mail that Mohamed Bin Hammam “bought” the 2022 World Cup finals for Qatar. Suspended Fifa vice-president Warner made public the e-mail which also questioned why Asian football boss Bin Hammam was running for Fifa president. Valcke wrote: “[Hammam] thought you can buy Fifa as they bought the World Cup”. But in Valcke’s denial he insisted he was not referring to any “purchase of votes or similar unethical behaviour.” ….. And last week, Qatar 2022 World Cup officials denied allegations, published in the Sunday Times, that they paid bribes in return for votes. As vice president, China’s Zhang Jilong will take charge of the AFC in the absence of Bin Hammam. However, the decision to suspend Bin Hammam has been met with widespread criticism throughout the Middle East. The prospect that Sepp Blatter will tomorrow be returned unopposed as president of Fifa, the game’s governing body, is enough to make any true football fan, of whatever nationality, cringe with embarrassment. Unopposed? Does that mean people think he is doing a good job? Couldn’t some tramp be brought in from the streets of Zurich to contest the election? Are ballot papers being printed to give this fiasco a veneer of legitimacy? And who is paying for the prerequisite slap-up lunch for the stooges flying thousands of miles to rubber-stamp Blatter’s election? The sheer absurdity of the process makes Premier League footballers look like paragons of virtue. Unless 75-year-old Blatter does the decent thing and agrees to the deferment of tomorrow’s election – and nothing in his record of ruthless, self-important nest-feathering suggests that he is capable of doing the decent thing – a coronation of look-away-now awfulness, with toadies in blazers applauding the Supreme Leader, is in prospect. But it is the sheer incompetence of Fifa under Blatter that has been truly shocking. Never mind the bribery allegations and counter-allegations swirling around the Qatar bid. No sporting body with any pretensions to seriousness would have agreed to award a World Cup, traditionally held in June/July, to a country where temperatures at that time of year top 40C. …. Half-cocked plans for air-conditioned stadiums, or for the tournament to be held mid-winter, have only underscored the ludicrousness of the bidding process – with the minnows of world football all too easily seduced by large cheques.